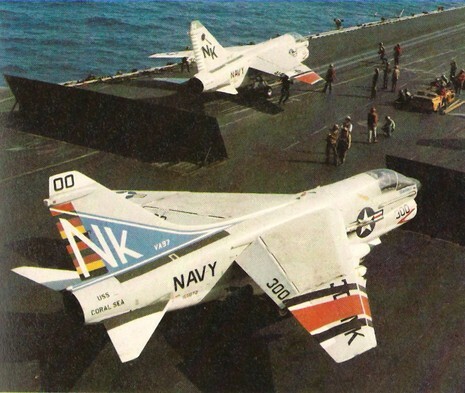 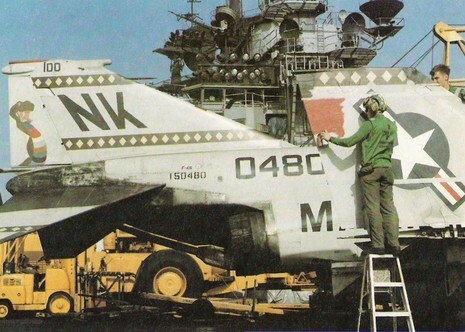 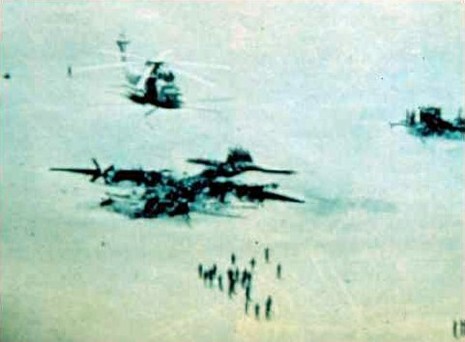 Operation Eagle Claw (or Operation Evening Light) was a United States military operation that attempted to rescue 52 American hostages from the U.S. Embassy in Tehran, Iran on 24 April 1980. 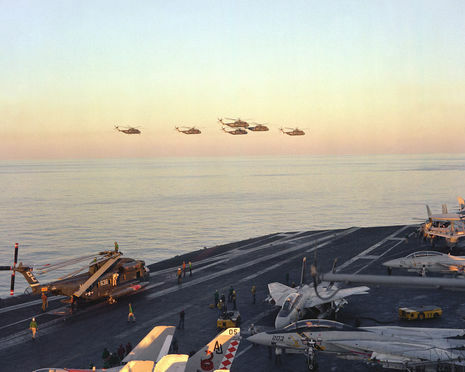 USS Nimitz (CVN-68) by a sandstorm. 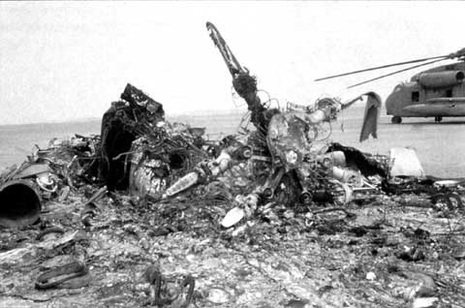 As the U.S. force prepared to leave Iran, a refueling accident led to the remaining helicopters and a C-130 Hercules refueling aircraft being destroyed or left behind, and the deaths of eight American servicemen. 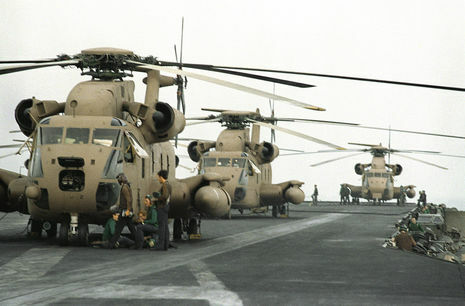 Operation Eagle Claw began on April 24, 1980, when an elite U.S. military force initated an attempt to rescue the American citizens that were held hostage in Tehran. 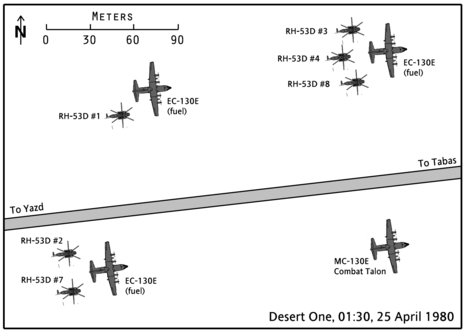 One day later, however, all that was left of the mission was a burning piece of Iranian desert, containing U.S. aircraft and personnel.